The menu at Fig Tree Café includes full English breakfast, toasted cheese and tomato, and burgers in various flavours - chicken mayo, ham and tomato, egg and bacon. There is always a selection of cakes and milk shakes (coffee, strawberry, vanilla, chocolate or banana). Homemade meals are available every lunch time. 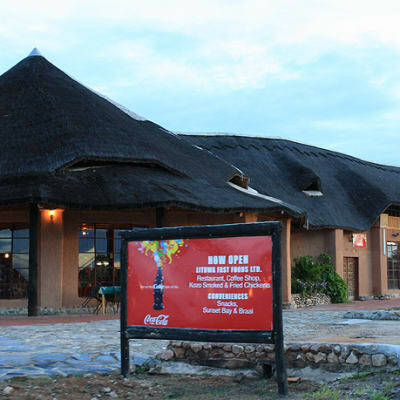 When planning your travel route note that Kozo Lodge Choma is one of the best places to stop for a break, a bite, to stock up on drinks, or to use the spotlessly clean conveniences. 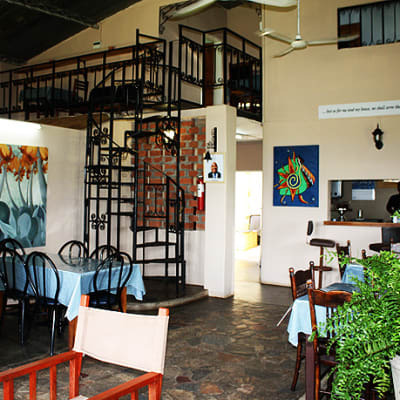 As Choma lies between Lusaka and Livingstone, this is a perfect travel break for tasty fast food and a refreshing atmosphere.